Every new year people make resolutions and do you know what one thing is common in everybody’s resolution? No! Let me tell you~ It’s travel! From getting a fitter body to planning to be self-independent people are opting to be different with a common travel goal and if you are planning to travel in 2018 then here we are with the top destination where you should go as per your zodiac sign because every zodiac has their own interest of travel. We have selected destinations according to the zodiac sign, so here you go! March 21 – April 20, Aries people love some adventure in their life, so Andaman & Nicobar islands will be best for you because here you get volcanic hikes, adventure sports, and water sports. April 21 – May 21, Taurus people are always in a search of comfort with all luxuries which they will get in Dubai. May 22 – June 21, Gemini, you are really confused in your life and only travel can bring you stable life. So, go to Thailand, the most happening destination. June 22 – July 23, Cancer, you are better comfortable with a group despite single. And, for you and your group we have a suggestion to travel in houseboats, I mean choose Kerala to go. July 24 – August 23, Leo! Hello drama seeker, hungry for wild nights and fun, we are suggesting you pack your bag and book tickets for Singapore. August 24 – September 23, Virgo! What if I suggest you to enter in Rangeelo Rajasthan? 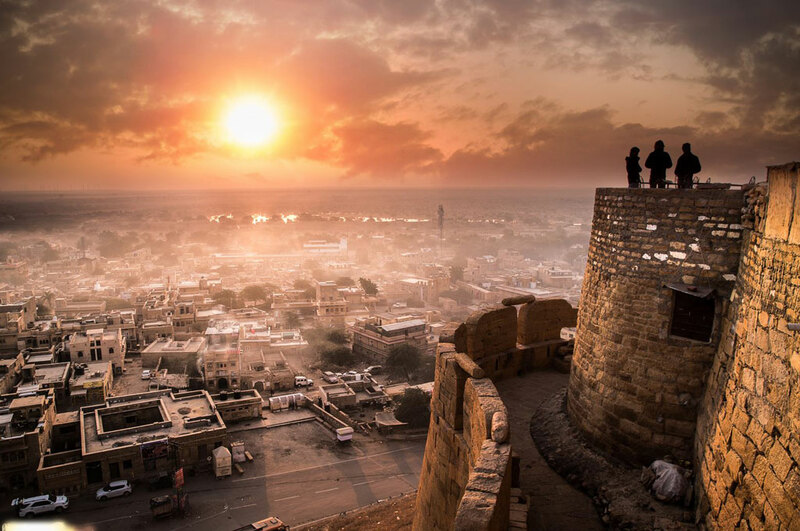 Yes, Rajasthan’s Jaisalmer will satisfy all your desires. September 24 – October 23, Libra! As you are filled with love you should look Paris. The city of love will fix your heart and satisfy your eyes. October 24 – November 22, Scorpio! You truly love attention all around you but it is not always possible for people to fulfill your desire but Bali, the destination can soothe your soul. November 23 – December 21, Sagittarius! You the seeker of delightful moments can head to Bhutan to enjoy the lighter side of the beauty. December 22 – January 20, Capricorn! Do solo trips, yes you will love to spend your time alone in the extensive details of Srilanka. January 21 – February 19, Aquarius! Hampi is perfectly suited to your choice because Aquarians loves to explore the true origins of things. February 20 – March 20, Pisces! Being a dreamer you should head to the Maldives. Beaches and water can give peace to your heart.